It is said that the first Hazes were grown in the 1960s in California where the climate is optimal for these outstanding Sativas with their lengthy flowering cycles. Many of today’s hybrids have been bred with Haze genetics since not many other cannabis strains can match the energizing, mood-lifting and sometimes psychedelic effects that only a true Haze can give. But cannabis connoisseurs love Hazes not only for their superb high but also for their excellent aroma. The flavour and taste of Hazes is distinctively spicy and often accentuated with notes of citrus and earthy sweetness. Zativo’s list of the top 10 Haze cannabis strains gives you an overview of some of the best Haze strains available. Super Lemon Haze by Greenhouse Seeds is a cross between a Lemon Skunk and a Super Silver Haze. True to her mouth-watering name, the strain immediately and easily took out her competition at the 2008 High Times Cannabis Cup thanks to her refreshing and intensive lemon flavour and taste. Her smoke tickles the taste buds with an aroma of lemon, lime and pink grapefruit that is brilliantly accentuated with some subtle earthy notes. 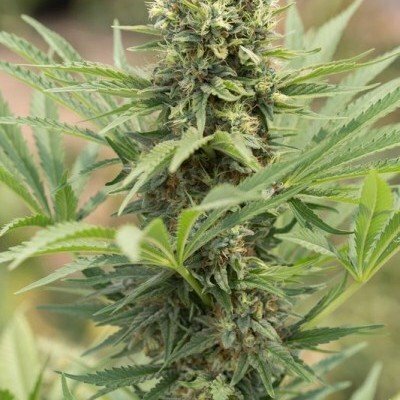 Super Lemon Haze has a medium-long flowering time of 9-10 weeks where growers can look forward to outstanding results whether she is grown in soil or hydroponically. With a staggering 22% of THC content, she ensures a super-potent yet balanced and long-lasting high with a powerful cerebral and psychedelic effect. Medicinal cannabis users get a potent medicinal plant with Super Lemon Haze that can help with the relief of chronic pains and many other conditions. Zativo Seeds’ Chocolate Haze is a dream come true. She is one true super Haze in all respects but comes with the massive advantage that she is easy to grow. Even new cultivars can now enjoy growing some of the finest quality ganja there is. Chocolate Haze has an astonishingly short flowering time of only 8-10 weeks for a Sativa. She is also packing quite a punch when she grows, and delights with that she’s highly resilient and rather easy to manage. The only thing the grower needs to keep an eye on is her height since she can easily grow to an impressive monster if you just let her. With some trimming and topping however you can keep her in check. As if a true Haze aroma and taste isn’t awesome already, Chocolate Haze manages to top this by adding her fantastic signature Chocolate note. This makes her a true dream for cannabis connoisseurs! Not only is her flavour and taste outstanding. Her super-strong high is smooth, relaxing, euphoric and psychedelic. Novices may find themselves floating after just one or two hits of her powerful smoke! Amnesia Haze by Royal Queen Seeds is one of those Haze strains that was created after the first Haze seeds and hybrids reached Europe. As the story goes, a devoted American expat in Holland created the strain by combining these hybrids with some old school haze seeds. In the cannabis scene, Amnesia Haze is regarded as one of the best Hazes ever. She is one top-yielding Haze strain that can easily yield 70-80g per plant indoors and a whopping 700g outdoors when conditions are right. When you want to grow her outdoors, she will do best in a sunny and hot climate like in Australia or California to grow to her full potential. If you let her, she can reach a height of over 2 meters. She sure is not a beginner plant to grow since she is quite sensitive to bugs, the weather and proper watering. However, when you smoke her, you will immediately know why everyone love Hazes despite those minor challenges. One or two tokes is all it takes to experience her truly psychedelic head high with all the wonders she has to offer. Her super-potent smoke will send you right up to the clouds. Add her fantastic Hazey and fruity aroma and you know why she is said to be one of the best Hazes ever created. Paradise Seeds wanted to create a true super strain with Delahaze. 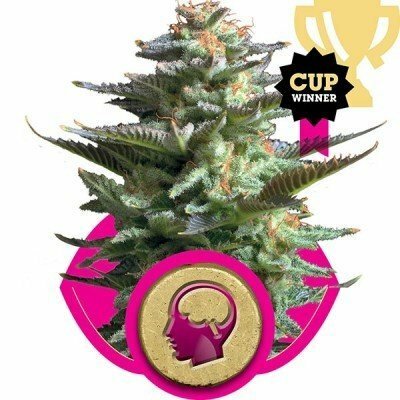 No question about it, they not only achieved this goal but actually surpassed expectations, looking at the great qualities of this strain which combines the best of Hazes into one stellar plant. Growers don’t just get a very robust plant that shines with formidable yields at harvest time. She can equally please with her resistance to mould, which makes Delahaze a good choice even for less experienced growers who want to minimize hassles during a grow. She has a remarkably short flowering time for a Haze that is only 9 weeks although some recommend to give her one week more to bring out the full scale of her flavour and aroma. When you taste her intensive flavour bouquet that blends refreshing citrus notes and Haze, there won’t be any open questions about the superb quality of this smoke. She will give an uplifting and euphoric high that is later turning into a pleasantly pure and focused body buzz that can last for a long time. Her balanced effect makes Delahaze a great smoke for any time of the day or night. G13 Haze by Barney’s Farm is yet another top Haze strain that is winning awards year after year. She won the second prize in the general category at the High Times Cannabis Cup in 2006 and just a year later, she managed to win first prize at the High Times Cannabis Cup in 2007. 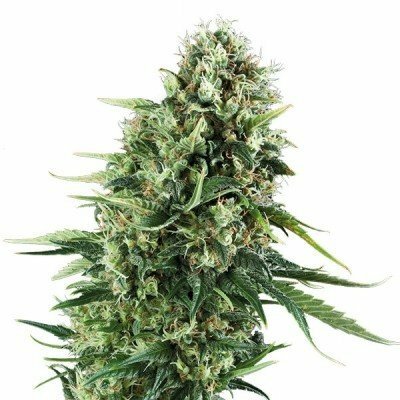 What makes G13 Haze unique among all the top Haze strains are her Hawaiian Sativa genetics, giving the strain an exotic touch that makes her a favourite strain for many growers and cannabis enthusiasts. Growing her is surprisingly easy for a Haze since the plant will stay at a manageable 70-80cm, which makes her the perfect Haze for indoor grows. She has also a rather short flowering time of only 10-12 weeks, another plus when you want to grow her. Her G13 genetics together with her Hawaiian qualities ensure a powerful smoke with an outstanding aroma. With 20% of THC, she will give a strong cerebral head high that is energizing and uplifting and at times trippy and psychedelic. G13 Haze is a great Haze where everything is just perfect! Golden Haze by Devil's Harvest Seeds is a cross of a Super Silver Haze with extremely potent Amnesia Haze by the legendary breeder Soma. Obviously, such a combination of super-strains doesn’t leave much doubt that the new creation wouldn’t be anything less than spectacular, or in this case a true “golden” gem among Haze strains. Not long after Golden Haze’s introduction, renowned High Times magazine couldn’t stop themselves from highly praising the strain. The magazine’s editors recognized that Devil’s Harvest managed an astonishing feat: to bring a true old school strain into our time with increased potency, something that previously hadn’t been easy. Devil’s Harvest Seeds further improved the strain, successfully enhancing not only her power but also her aroma, taste and growing qualities. When smoked, you will note the classic and always desirable Haze taste right away. Given her powerful parents, it shouldn’t surprise that her high is extremely potent, cerebral and energizing as you would expect from such a top-class Haze. Dutch Passion doesn’t carry their name for nothing. By some in the cannabis scene referred to as The Gurus of Cannabis Breeding, the guys at Dutch Passion truly dedicate their heart and sweat into their work. Dutch Haze is one of their great creations, a cross that keeps all the outstanding Haze qualities while having a reduced flowering time, something which is always seen as a big plus among growers. 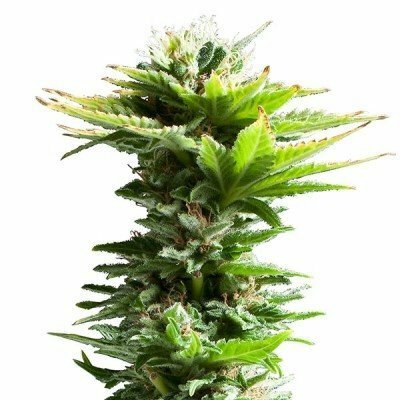 In addition to her shorter flowering period, Dutch Passion stays a short 80-120cm which means that she doesn’t require as much space to grow as some of her other Haze sisters. She has also a natural resistance to mould which means that even less experienced growers can grow her without much fuzz. If you still have a doubt about Dutch Passion’s achievement in creating this strain, just light one and enjoy her outstanding quality smoke. You will immediately note the typical Haze buzz that is cerebral, energizing and uplifting. Dutch Haze is a great strain for Haze lovers and growers of all experience levels! Super Silver Haze by Zativo Seeds is a mix between famed Skunk, Haze and fabulous Northern Lights. Knowing this could possibly be enough to give some cannabis experts an idea about the superb quality of this strain. What Super Silver Haze is most known for is her spectacular high that is regarded as one of the best Sativa highs among cannabis strains. She is also impressing with exceptional yields, packs a punch when she grows - and of course there is her enticing taste and aroma. Super Silver Haze has an intensely spicy flavour that is perfectly accentuated with some sweet notes. Her high combines the effects of a Sativa with those of an India. The Sativa side makes for an energizing and uplifting, creative and inspiring smoke and her Indica genetics ensure the deepest levels of relaxation. Obviously, with such potency and great effect she is also an ideal medicinal strain that can help ease chronic pains, arthritis, migraines, stress and anxiety. Critical Haze by Resin Seeds isn’t just yet another old school Haze. The strain’s name may possibly give you a hint, she is definitely “critical” - a name that we can think of as being their somewhat “fancier” version of saying that she is really quite outstanding. But in all seriousness, when you know that an Amnesia Haze F1 had been crossed with a Critical Mass, there shouldn’t be any question about the superb quality of this strain. 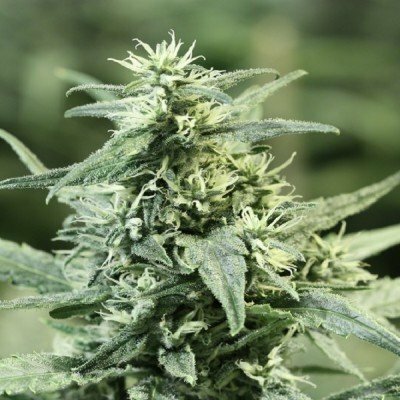 Growers will love the fact that her flowering period of 10 to 11 weeks is rather short for a Haze and that they can look forward to good harvests with respectable yields of up to 400g per plant. She shines with the amazing high, flavour and taste of her legendary Amnesia parent and will give an awesome smoke that will immediately delight with its spiciness and the sour fruity notes on top. As you would expect from a first class Haze strain, Critical Haze has a very potent effect that will last a very long time. Humboldt Seeds’ Dedoverde Haze is a spectacular mix of Amnesia and a California Haze, making for an extremely potent strain. Some of her phenotypes have been measured a staggering 24% of THC, so if we say that Humboldt Seeds’ creation is super-powerful you can bet that we really mean it. Despite her incredible potency, Dedoverde Haze also stands out because of her astonishingly short flowering time of only 10 weeks for a Haze and her impressive productivity of tons of super-resinous bud. While she is not particular difficult to grow, growers need to know that she’s a really hungry plant and may require more nutrients as compared to some other strains. Her somewhat higher requirements for nutrients however sure are not wasted. All of this power goes into producing massive amounts of terpenes that are responsible for her very high THC content and incredible aroma. However, be cautious when you smoke the Lady, because it wouldn’t be the first time that less experienced smokers get tempted by her superb spicy and fruity flavour and forget about her incredible potency. A toke or two may be enough to send you flying!